Overlooks Humber Valley and Humber River. Hills and forests provided wide range of photographic backdrops. Banquet coordinators on staff. In-house catering. at the Cosmopolitan are set up to be high-performing, productive and discreet, just as all 21st century boardrooms should be. Smartly designed and equipped with state-of-the art technology, each boardroom features a projector, LCD flat screen, climate control and high speed wireless Internet. Should your group require any additional features please ask and we will be more than happy to help. Heritage building was once used as meeting place by Group of Sevel painters. 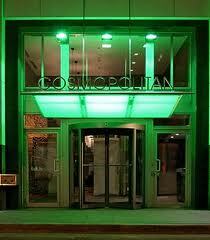 Entire venue can be rented for exclusive use on Sundays only. Managed by Liberty Entertainment Group. 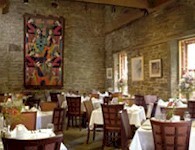 Restaurant is housed in a heritage stone building in a cobblestoned courtyard. Serves 'French-based cuisine with contemporary flair'. Has three function rooms on two levels as well as a warm-weather patio. Event planners on staff. From small corporate gatherings to business groups of up to 280, Cranberry Golf Resort will graciously cater to all your conference needs. Enjoy the waterfront privacy of a meeting at the Bear Estate or an educational seminar in our Ballroom. Whatever your specific requirements, Cranberry has the facilities, audio visual equipment, professional staff and complete planning assistance to ensure your meeting’s a success. Restaurant/bar has three levels available for private functions. 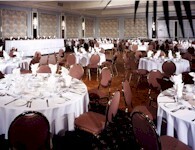 Available for meetings, conferences, seminars, trade shows and banquets for 20 to 1500 guests. Two ballroooms with 24ft ceilings accomodating up to 900 guests. At Crystal Grand we can accommodate up to 320 guests for any occasion from Wedding receptions to Weddings to corporate function, and banquets to a smaller intimate gathering. The Crystal Grand’s elegant and sophisticated décor, fine cuisine and exquisite food, stylish setup, sparkling presentation, and perfect service will make your special event unforgettable. 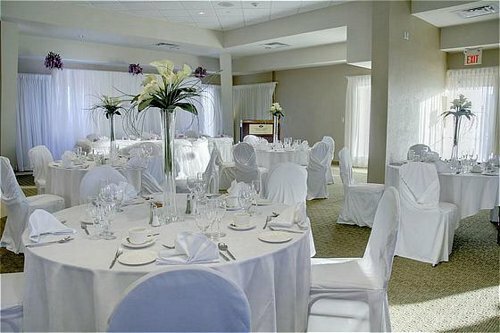 At Da Vinci Banquet Hall, we take a personal interest in providing you with unparalleled service and dining. 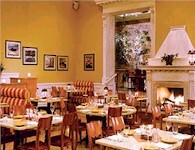 Da Vinci caters to a wide variety of occasions from weddings to conventions. The elegant and newly renovated banquet rooms may hold from 20 to 1000 guests, in fully air-conditioned and comfortable surroundings. 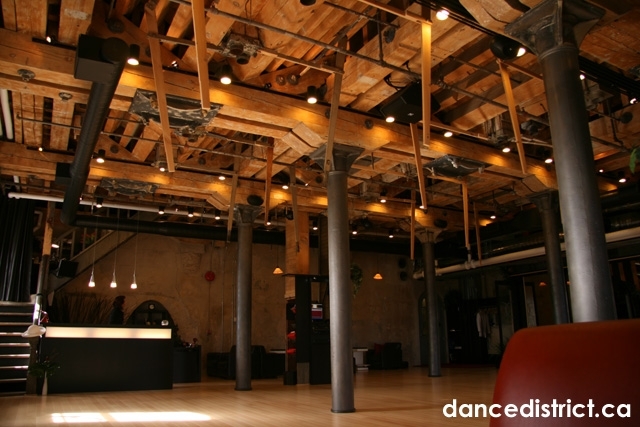 Located in the vibrant Distillery District, our versatile space offers an unforgettable atmosphere in an upscale setting. With plenty of room to dine, dance and entertain, Dance District is the ideal venue for your next wedding, party or corporate event. 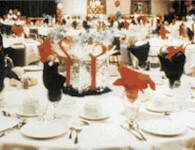 Over 11,500 square feet of modern conference and banquet facilities are complimented by friendly and efficient service. 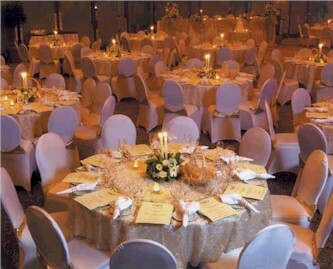 We look forward to assisting you in planning your next event in Toronto. Features Kingston Banquet & Conference Centre. Experienced event and menu planners on staff. Has several smaller meeting rooms in addition to the main rooms listed below. New banquet facility opened in 2004 on site of Deer Creek Golf Club. Wedding/event coordinators on staff. Bridal suite available. 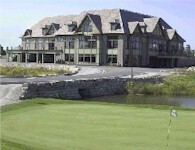 Grounds feature manicured lawns, ponds and golf course backdrop. Club can provide meeting and dining facilities for 10-150 people. Located on 780 waterfront acres, and showcasing 40,000 square feet of flexible venues Deerhurst Resort is truly a meeting place. Only two hours and two turns north of Toronto, a hassle-free transfer from other major cities, including Ottawa and Montreal, and complete with a private airstrip, we're easy to get to and even easier to work with. Features landscaped garden courtyard for wedding ceremonies & photography. 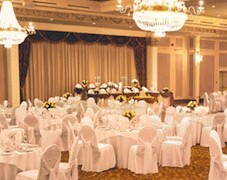 Features the best all-inclusive wedding packages in the city starting from $109.95 per person. Discounted parking rates available. Complimentary parking for weddings. 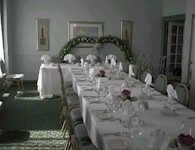 Hotel has 4 banquet and meeting rooms, with capacity up to 400 guests. In-house catering. 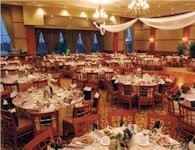 Features two ballrooms holding up to 220 guests each. Contemporary design and style with no pillars or other visual obstructions. All rooms have natural lighting. Outdoor courtyard perfect for events, ceremonies, upscale BBQ's. Five executive boardrooms. As a Meeting Planner, you pour everything into your work. When you plan a meeting, it's not just a meeting, it's your meeting. It's why you want it to be more than efficient and productive, you want it to be unique and refreshing.